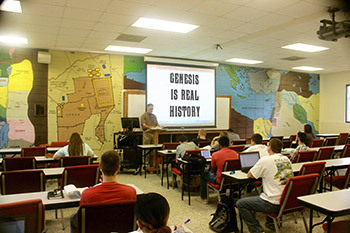 He further points out that a straightforward understanding of Genesis indicates that God created humans, animals, trees, and so on in mature form, and only a few thousand years ago. Dr Freeman explains that real archaeology opposes long-age dogma, revealing no civilisations or historical documents older than a few thousand years. Geology also opposes this dogma, because creatures must have been buried quickly to form fossils, so the layers must have been deposited catastrophically. Also, there must be little time between the layers, because the contact lines are flat and largely erosion-free, and they have other features such as footprints that must have been preserved quickly. How does creation matter to Christians? We know of literally hundreds of people whose faith was ‘shipwrecked’ on the jagged reef of biblical compromise, but who, like Dr Freeman, were restored thanks to consistent biblical creation teaching. We trust that his encouraging testimony will help many more.